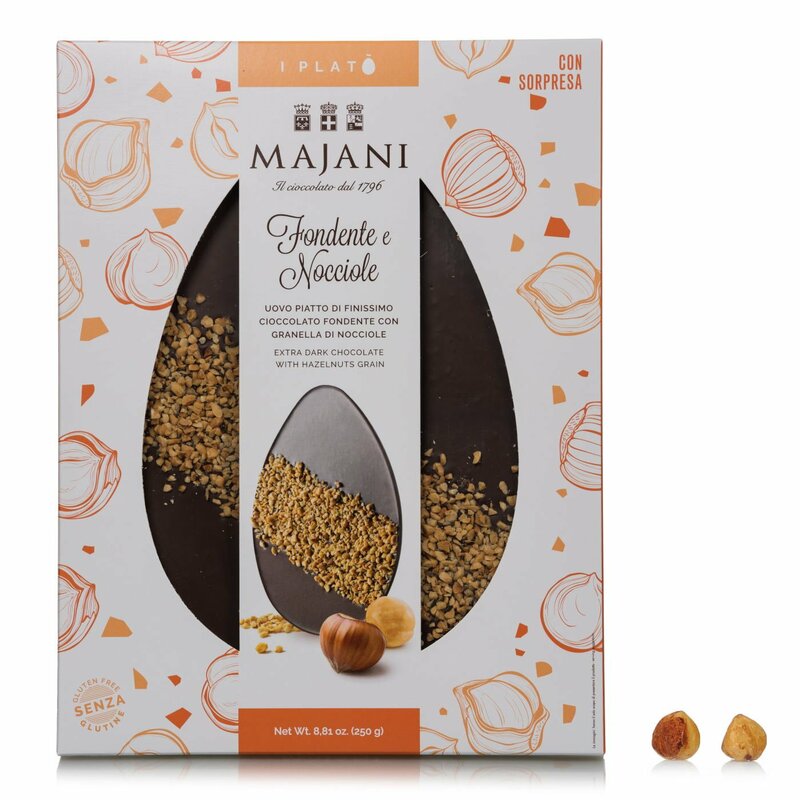 If you're looking for something different from the usual Easter egg, the Majani Dark Chocolate and Hazelnut Platò is just the answer. 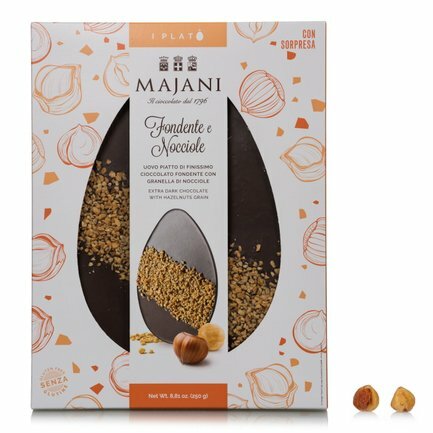 A flat, gluten-free egg, made with the finest dark chocolate and chopped hazelnuts. Ingredients Sugar, cocoa paste, cocoa butter, hazelnuts (8%), emulsifier: soy lecithin. May contain traces of milk and other nuts. For more information on product labels, please contact our Customer Service department. The information on the labels of the products may vary for reasons beyond our control, therefore, there may be discrepancies between the information on the site and that on the products delivered. Please always check the information on the product before consumption or use.